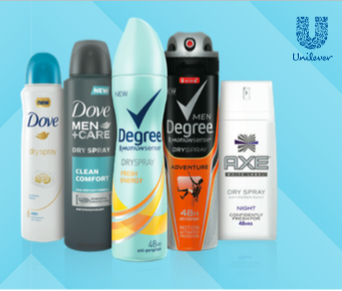 The one about Degree Motionsense Dry Spray Deodorant! I was so excited a few days ago when I got my very first Influenster box in the mail. I was chosen to try out Degree's new Dry Spray Deodorant. Let me preface my review by saying I normally hate spray deodorants. They feel wet and sticky and I just generally don't like them. So when I was selected I was skeptical, but excited to try it because they specifically called it Dry Spray Deodorant. Which implies that it will spray on dry of course. I have tried it for the past 5 days and let me tell you, I have been pleasantly surprised. I knew I needed to try it in a couple of different situations, most importantly a sweaty one. I had a great opportunity yesterday (I know what you're thinking, uh, hey you live in Missouri and it was 5 degrees yesterday), but I had a long car ride yesterday and guess what, my car creates sauna like heat. I don't know why but my van's heater is hotter than Death Valley in July. You literally have two settings, hotter than Hades or ice cold. I had my coat on in the car and the heat set to hotter than Hades and I was sweating, but you wouldn't have known it. My underarms stayed dry and I didn't stink. YES! THIS IS A WIN. Stinking is not cool. Next, does it spray on dry? I've already mentioned my supreme hatred for the wet feeling of traditional spray on Deodorant. The answer is YES! It sprays on dry! I don't really understand how it works, but we're going to go ahead and say that it's some sort of elf magic. I don't really see what else it could be. Elf magic it is. Finally, does it smell good? The answer to this is also yes! It has a nice smell that's not too overbearing. The only thing I didn't love is the aerosol smell. It reminds me of Aquanet in the 80's, but the pluses definitely outweigh the minuses. In short, I definitely would buy this at the store. There is a whole line of dry sprays and I'd like to try out some other kinds. All the varieties of dry spray! DISCLAIMER: I received the new Dry Spray deodorant for free from Influenster, but the opinions are my own!